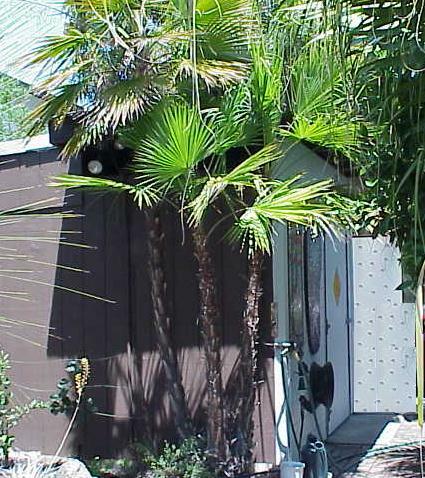 The leaves have a silvery colored underside and reddish brown fibrous trunks. Saw teeth on petioles. 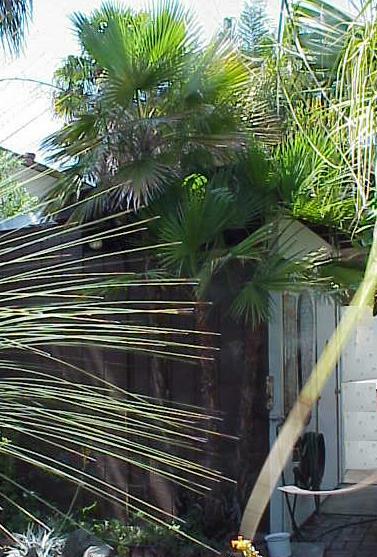 Suckering palm trees have a greater chance at survival because if the taller trunks are ever damaged such as in severe cold weather, smaller suckers usually survive at the base since they are usually more protected.